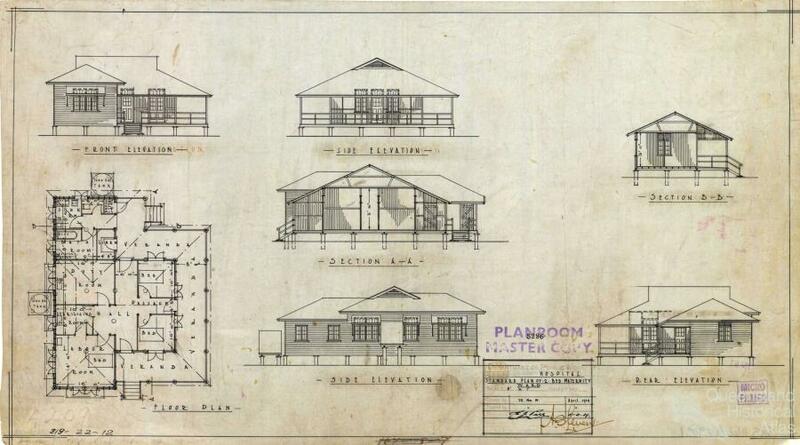 In writing this assessment of the state of Queensland’s medical services in her memoir Then and now: the story of a Queenslander in 1935, Angela Francis reflected a view commonly held by people in the Queensland bush. 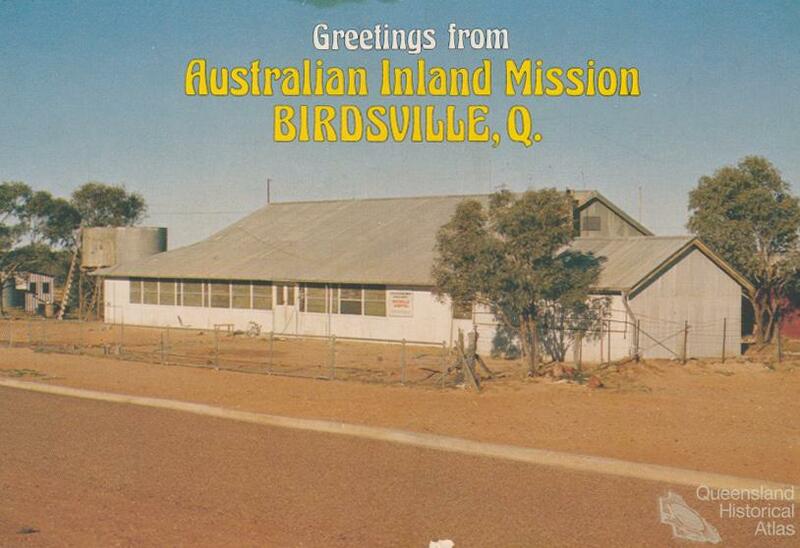 In this sense, the ‘great divide’ was not only a term for the mountain range separating Queensland’s narrow and more highly populated coastal strip from the vast western plains, it also described differences in the provision of essential services. 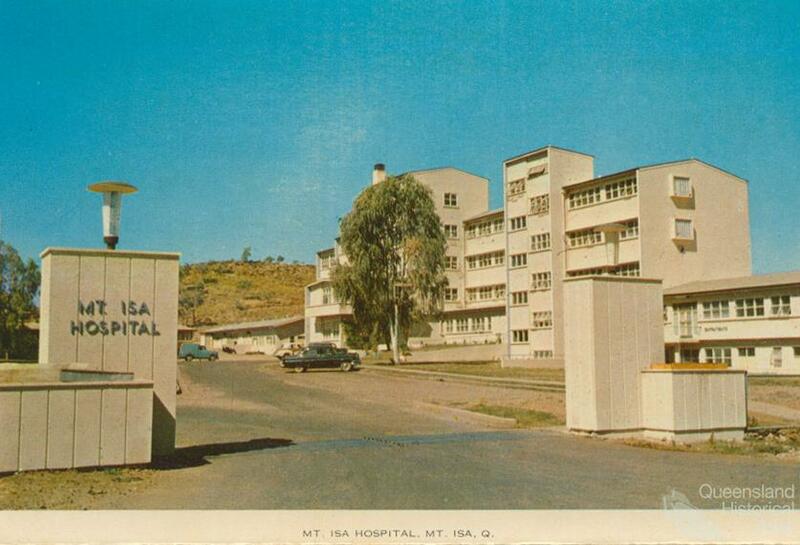 Conviction that health care in the city was superior to care in the country persisted. 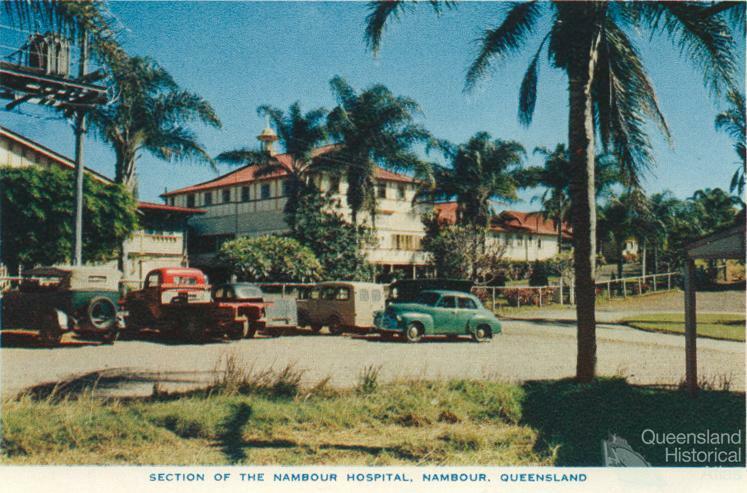 The notion that hospital services were easily won – or even adequately provided – in urban, coastal Queensland was somewhat illusory. 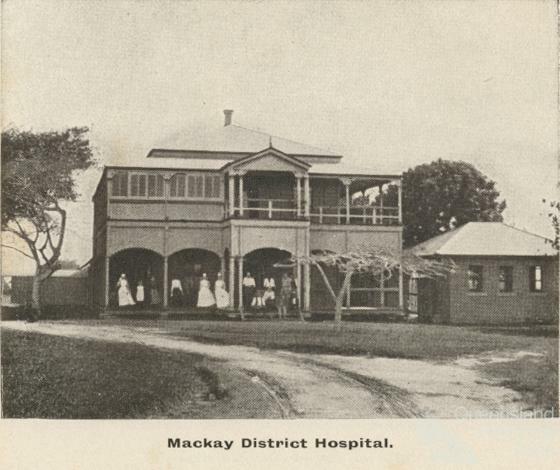 The development of hospital services depended for much of Queensland’s early white settlement history on community effort. 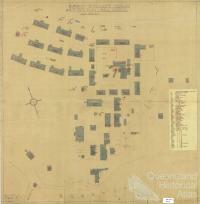 Government did not exercise a dominant role until the middle decades of the twentieth century. 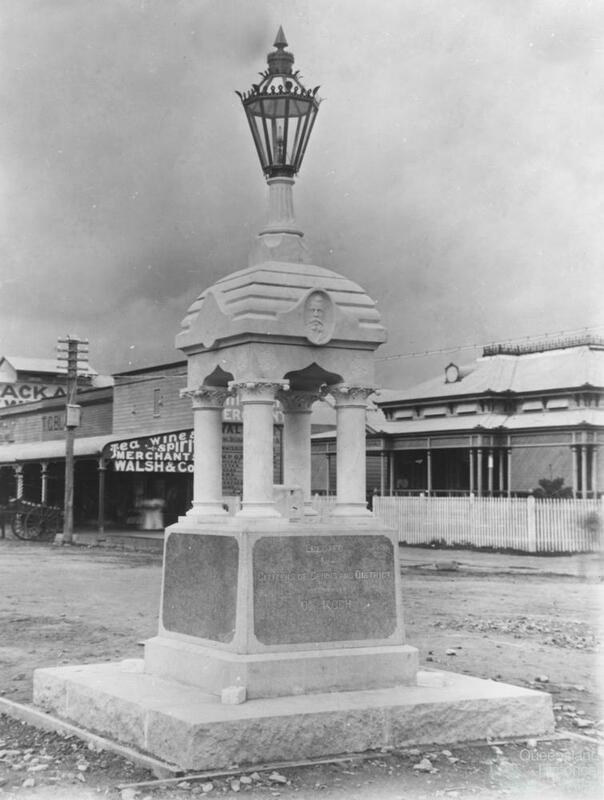 In 1842, when the Moreton Bay district was opened to free settlement, Brisbane was as inaccessible an outpost of the centre of white settlement in Sydney as Queensland’s furthest flung corners are from Brisbane in the early twenty-first century. 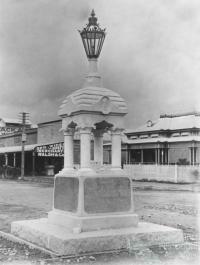 The edict that the hospital established to serve the convict settlement must close horrified the tiny Brisbane community. 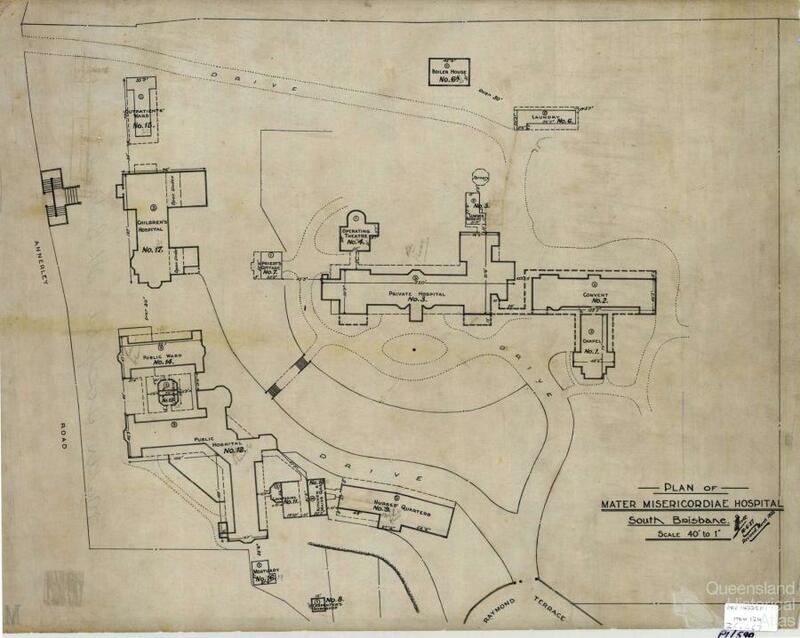 The only solution was to establish a ‘committee of gentlemen’ to manage the hospital as a ‘voluntary’ community hospital on the English model. 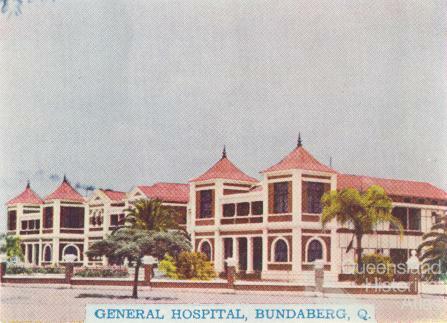 The voluntary concept reflected the prejudices of the day: the hospital was to be supported by annual subscriptions paid by wealthier members of the community; the indigent could be issued a ticket for hospital care by a beneficent subscriber. Those who could afford it were tended by doctors in their own homes or, in the late nineteenth century, small private hospitals. 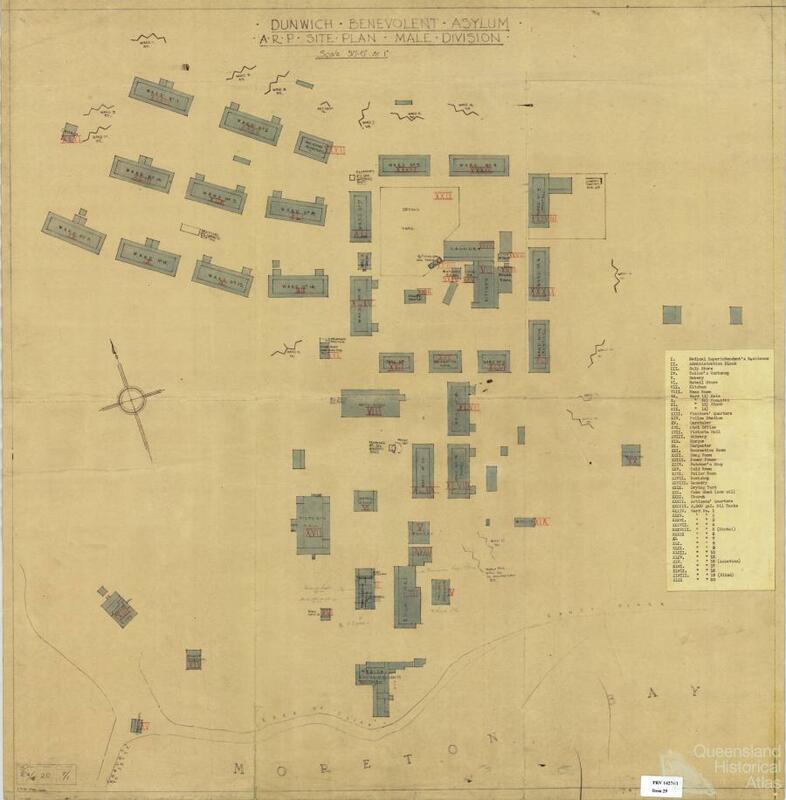 Until the introduction of nurse training and hygienic methods in the final quarter of the nineteenth century, admission to a public hospital – whether in a metropolitan centre or in a small town – was regarded as the prelude to certain death. 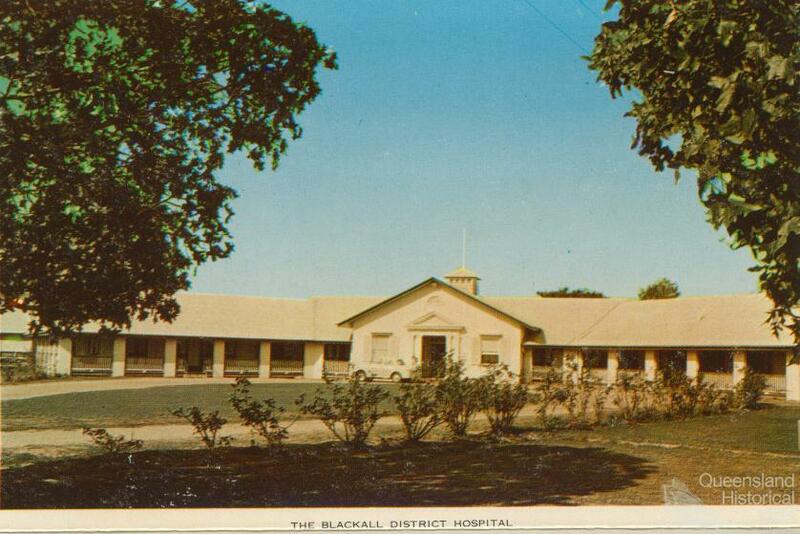 Government tried to remain aloof from the provision of acute hospital care, but took a much more active role in providing institutions to cater for the mentally ill, those affected by ‘unacceptable’ infectious diseases and the chronically ill. 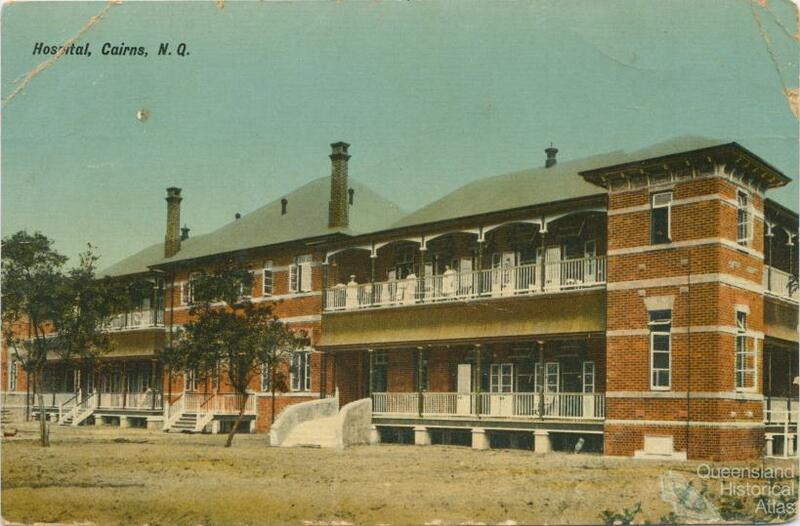 The English pattern of large psychiatric hospitals on the outskirts of towns where unacceptable behaviour was less likely to upset townspeople was replicated in the Australian colonies. 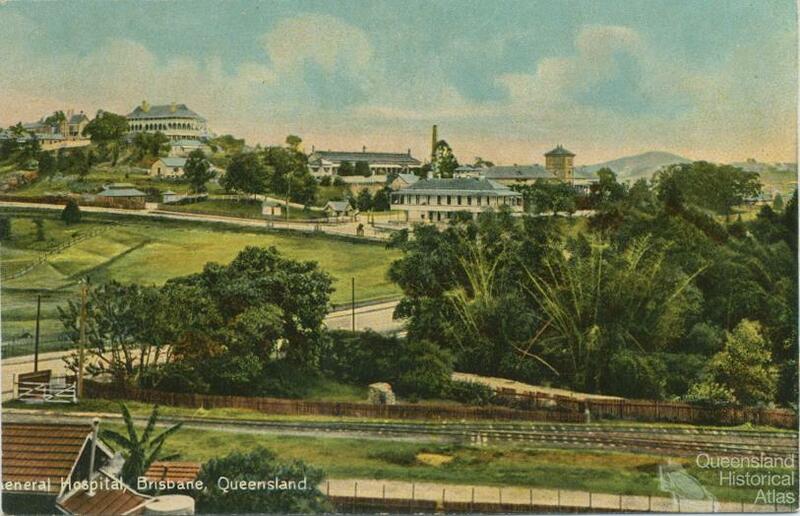 Woogaroo, halfway between Brisbane and Ipswich, was the first and opened in 1865. Asylums for the chronically ill or the alcoholic were situated even further away at, for example, Dunwich on Stradbroke Island in 1864. 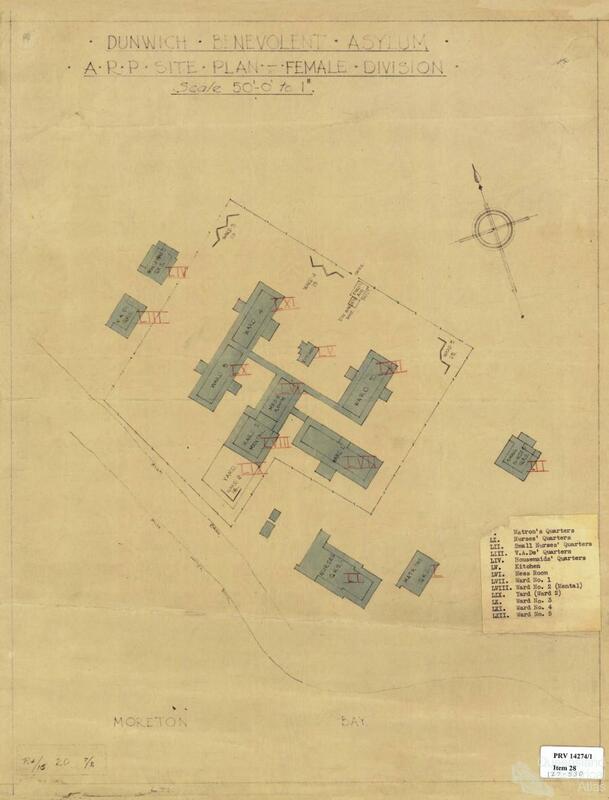 Atavistic fears of Hansen’s Disease (leprosy) played a large part in separating health facilities from the general population; the Dunwich Benevolent Asylum was a lazaret until a new one opened in 1907 as the sole occupant of Peel Island in Moreton Bay. 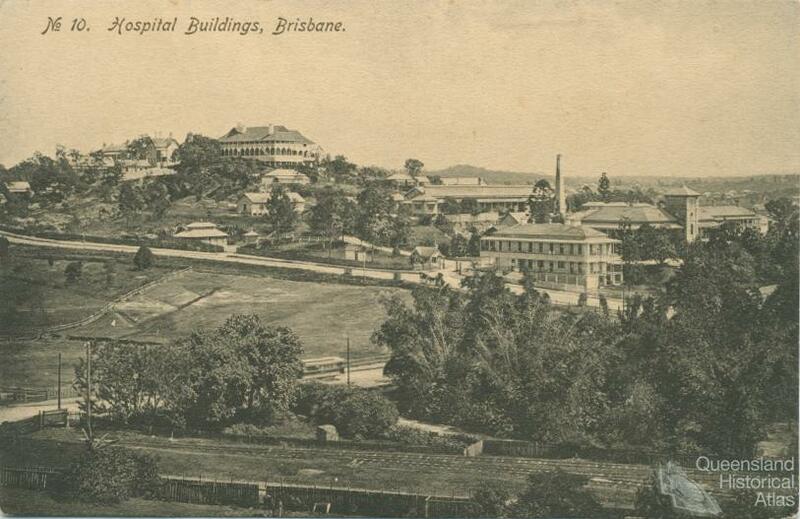 Separation of the ill on the outskirts from the healthy in the towns extended to the acutely ill. Queensland’s first children’s hospital and the first maternity hospital, the Lady Bowen, were established on the edge of the small city of Brisbane; the general hospital was moved from the government precinct in George Street in the city to the suburb of Herston, some kilometres away along a barely made road. 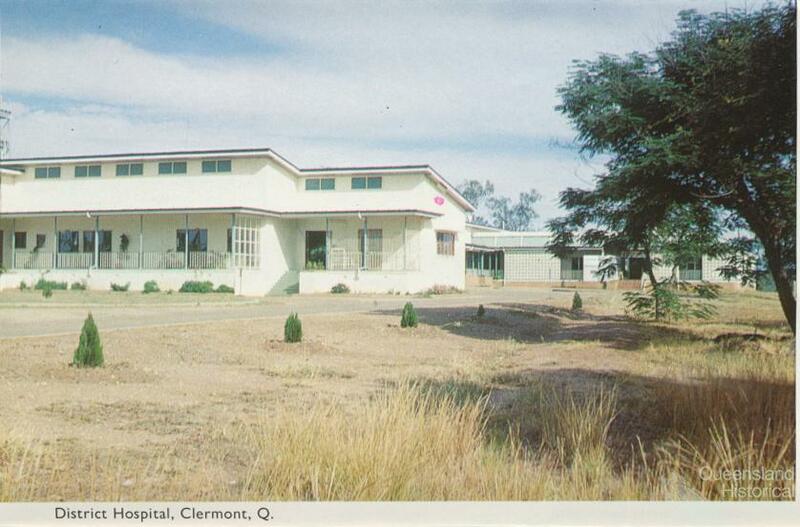 Community voluntary hospitals for the acutely ill began to dot the Queensland landscape when towns and trading nodes developed to service the rural industries which grew and diversified in the later nineteenth century. 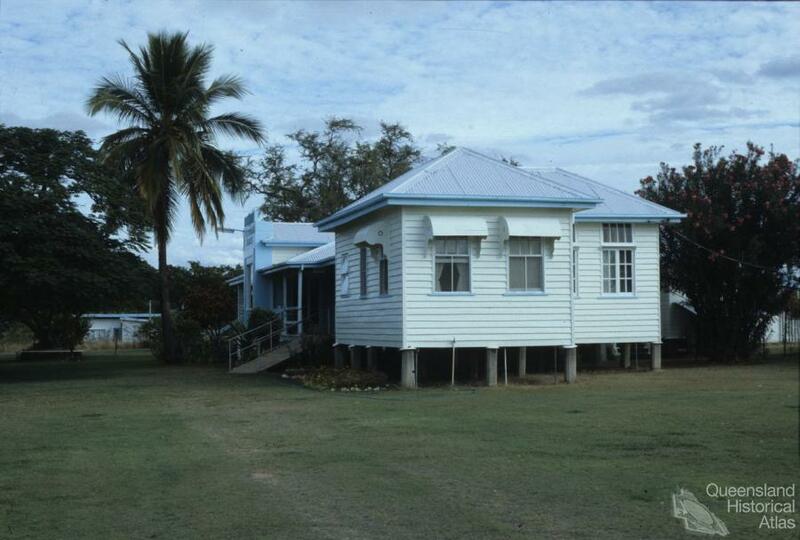 Community hospitals in smaller centres more closely reflected the core of the meaning of ‘hospitality’: they were usually built of timber, with wide verandahs and raised on stilts. 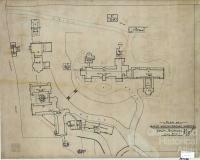 But they were rarely established in the main street. 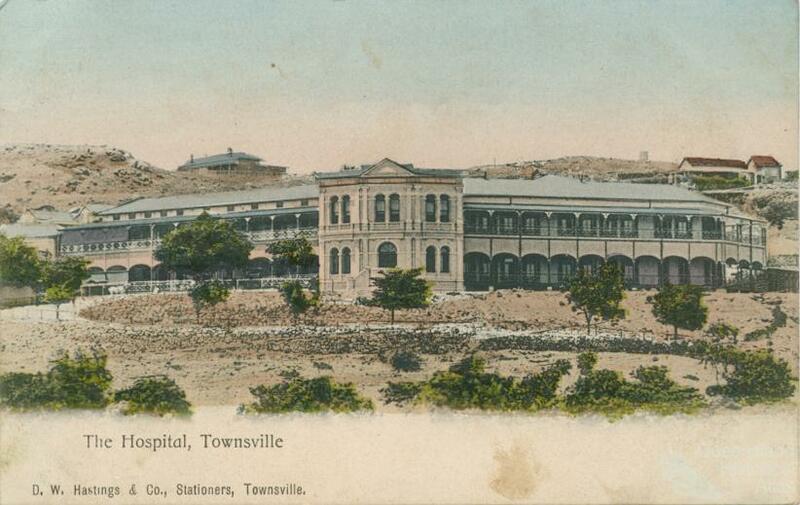 Voluntary subscribers increasingly fell behind in financially supporting the colony’s hospitals and called increasingly on the mercy of the Queensland Government. 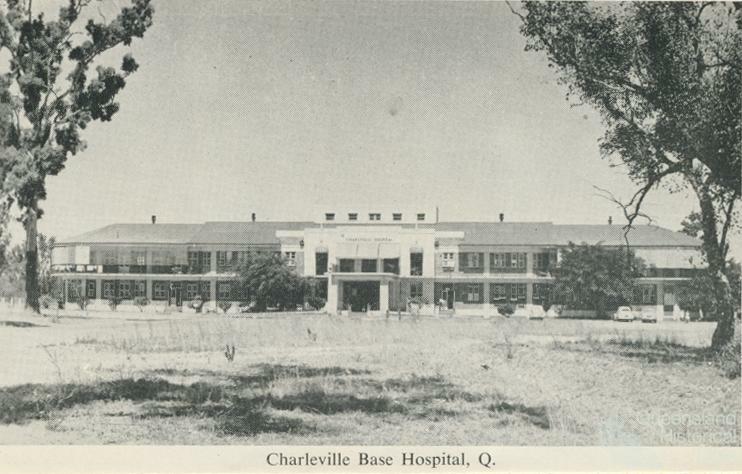 The Hospitals Act 1923 sounded the death knell of voluntary public hospitals until, in 1944, all public hospitals were controlled by government and managed by district boards. 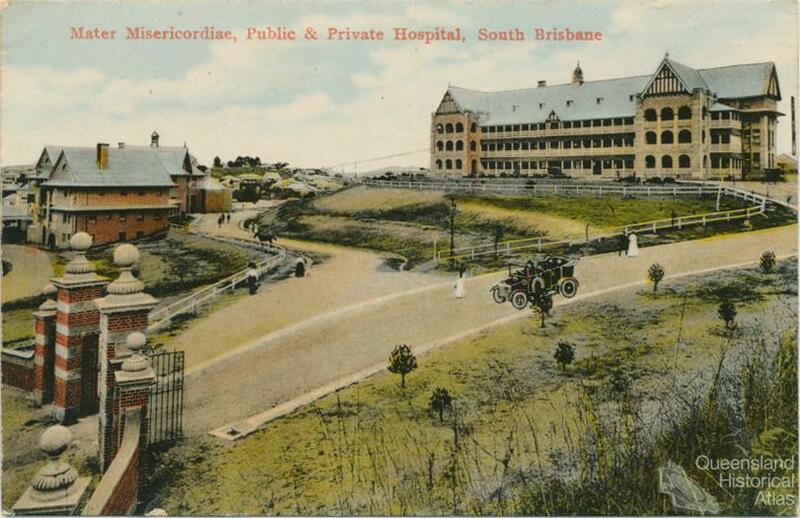 There was a single exception: the Mater public adult and children’s hospitals at South Brisbane owned by the Sisters of Mercy, but funded by the government. 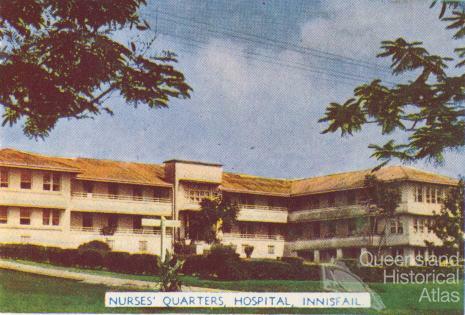 Hospital care was not free of charge until 1946, when the Commonwealth introduced its first scheme for free care in public hospitals. 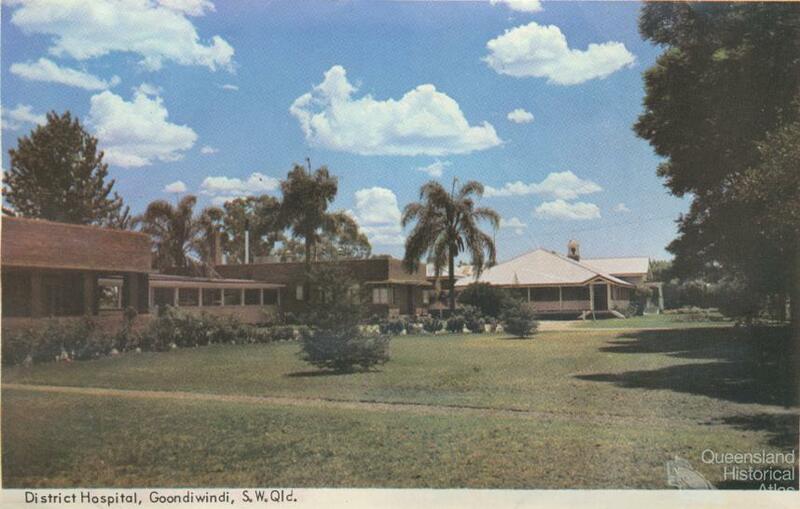 Free access became a sacred cow in Queensland, unlike the other Australian states where charges were introduced in the 1950s and 1960s until the Whitlam government re-introduced a free hospital scheme in the early 1970s. 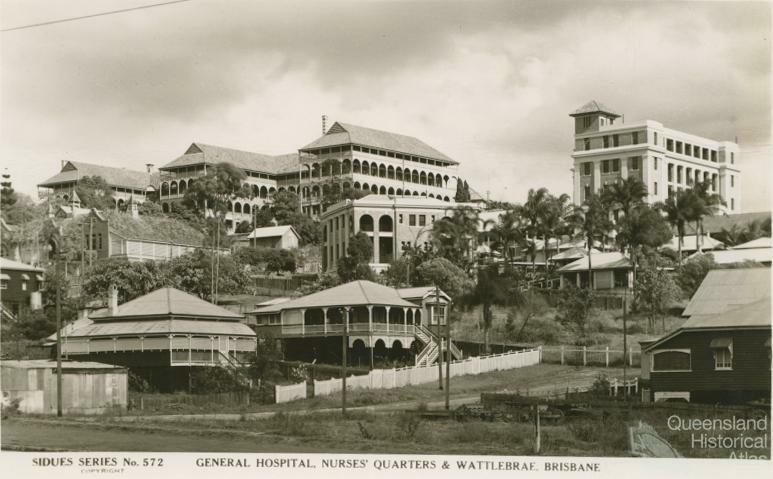 Queensland also persisted in its base hospital system: even the enormous Brisbane hospital was a ‘base’ hospital serving the whole city until the Princess Alexandra hospital was opened at South Brisbane in the 1950s. This hospital will deliver world-class health care to children from right across the state. International evidence has shown repeatedly that children receive the best care from one tertiary level children’s hospital where we can concentrate our best specialist expertise …. 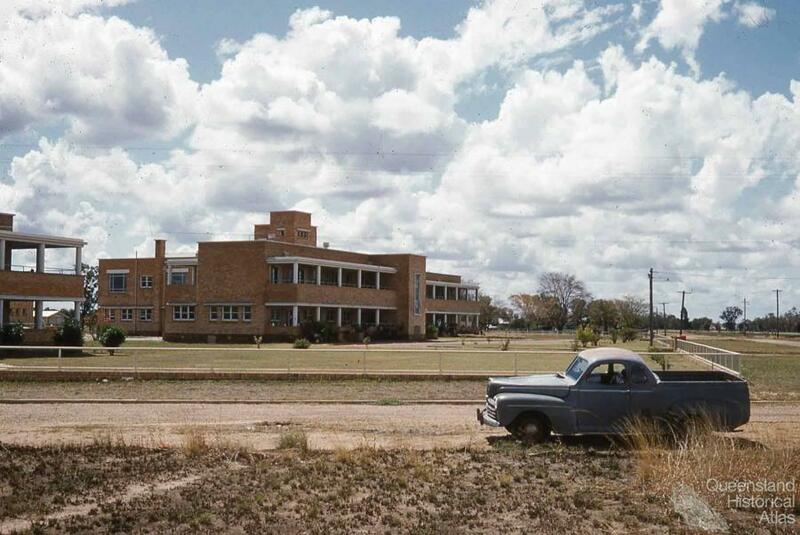 A child from Thursday Island in the Torres Strait would fly 3040 kilometres to that hospital, considerably further than a flight from Brisbane across the entire states of New South Wales and Victoria to Melbourne. For some, coming close to modern medicine means enormous separation.